As beautiful as autumn leaves can be in Minnesota, they can also cause problems when they remain in your home's gutters all winter long. Leaves attract moisture, which in turn attracts mold, mildew, rot, and insects. Another thing to consider is that standing water eventually freezes. Frozen water in your gutters could cause ice damming and significant structural damage to your roof. When leaves get wet, they quickly turn into a pile of mush that can clog up your gutters so no water can pass through at all. This defeats the purpose of having gutters entirely. The most obvious thing you need to clean your gutters is an extendable ladder. To ensure your safety, you should use a ladder with a stabilizer, also called ladder horns. These adhere to your roof to keep the ladder from shifting out of place suddenly. It also prevents accidental damage to your gutters. Once you get to the top of the ladder, you will need a good pair of gloves and a gutter scoop if you can find one at your local hardware store. If not, use a shovel meant for scooping large amounts of sand. As you remove the leaves and other debris from your gutters, place it in a plastic bag to prevent damage to your lawn. Lastly, use a garden hose to flush the downspouts and gutters. Most homeowners would rather do just about anything else than clean their gutters. Whether they're afraid of heights, don't like scooping up the mess, or just don't have the time, it's not usually high on the priority list. Unfortunately, putting it off indefinitely could cause you serious problems this winter. 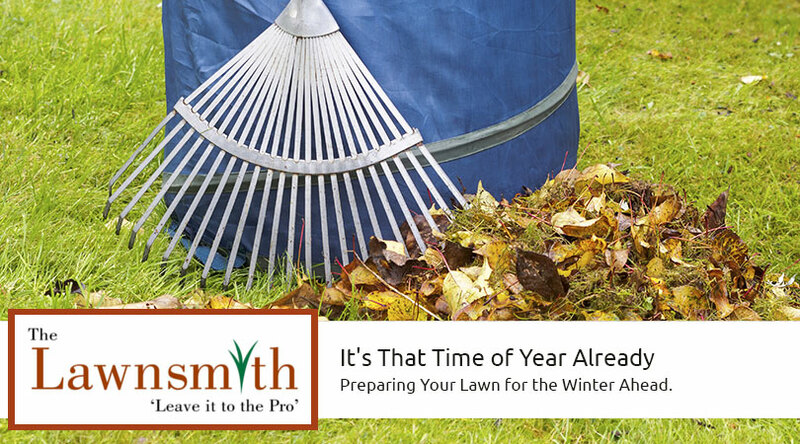 To avoid the possibility of roof damage, hire The Lawnsmith to do the job for you. Our fall gutter cleaning service includes two separate visits to ensure that your gutters are prepared for the long winter ahead. 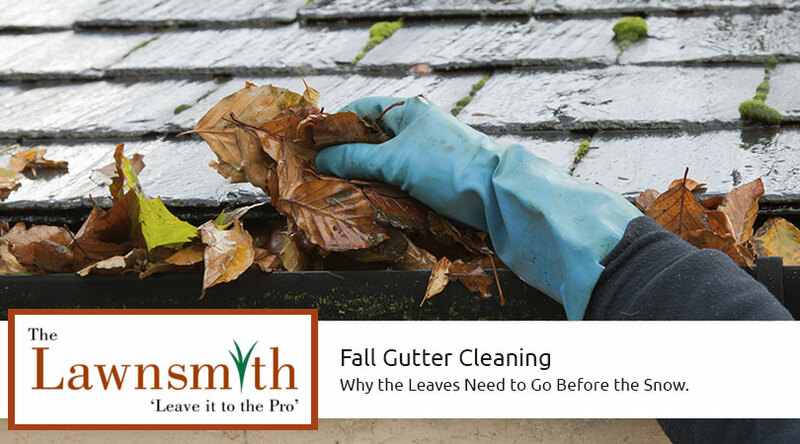 We remove leaves, twigs, and other debris from your gutters by hand and haul it away for you. If your gutters appear clogged, we use a blower on the downspout to make sure that water can flow through it freely. Please contact us for an estimate soon as our gutter cleaning service is in high demand at this time of year.